From its famous music and culinary arts scenes to its reputation as a medical and educational hub, the area draws in people from all walks of life. 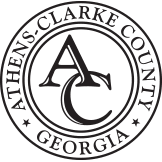 Always looking forward, the Athens-Clarke County Unified Government sought a virtual presence to match their dynamic way of life. 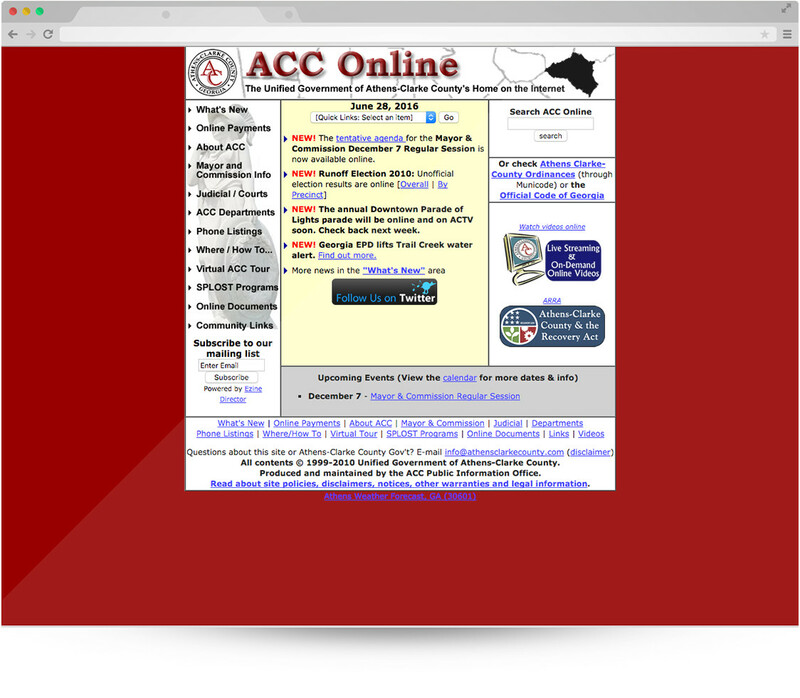 To describe the previous Athens-Clarke County website in one word: fragmented. While the local government had a main site, it offered varying degrees of information about departments and their services while linking to around 30 different websites maintained by individual departments. And with each department having varied resources, skillsets, and funding, there was no consistency or compatibility between the sites. More importantly, with no central resource, residents found it nearly impossible to find what they were looking for in one place. 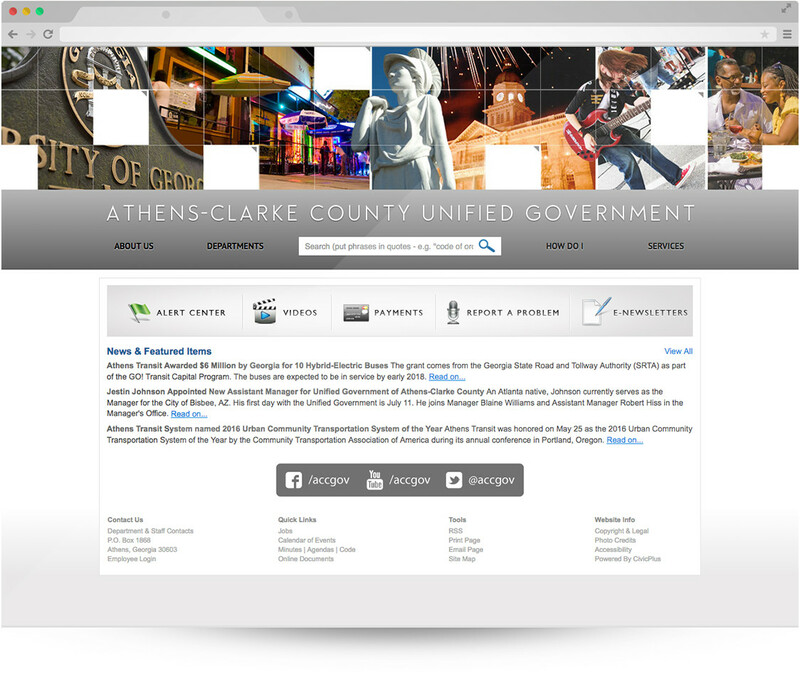 The clean, modern design of the Athens-Clarke County site captures their progressive, vibrant culture, while still giving departments the flexibility to make their pages their own. With a common administrative interface shared across all departments, a wide variety of employees are now trained to make changes and provide backup editing if needed due to staff changes or emergencies. Search-centered navigation allows people to easily find information and resources, but they can also explore the area’s one-of-a-kind offerings through expandable tabs on the home page. Municipal employees are not only able to keep the public better informed, but are also able to gather feedback from the community’s very active citizenry. And the ability to access the site and make changes from anywhere at anytime — even during a snowstorm that shut down city offices just days after the site launched — has proven extremely valuable. 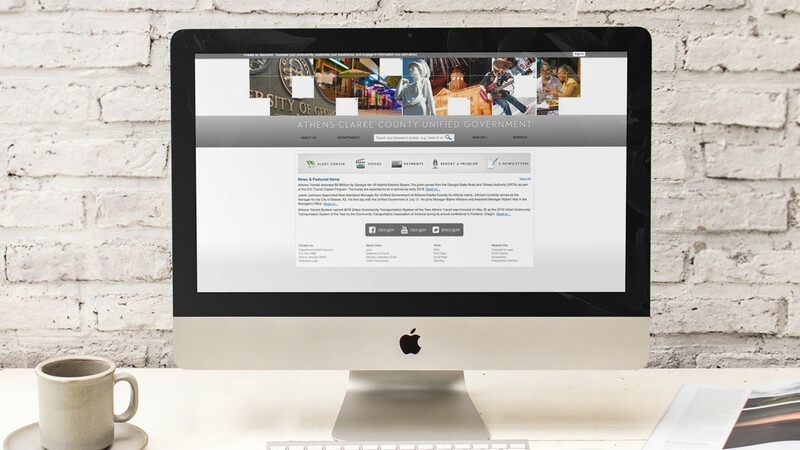 “The clean, modern design of the Athens-Clarke County site captures their progressive, vibrant culture, while still giving departments the flexibility to make their pages their own."